The Porsche 919 is the amazing hybrid Le Mans-winning car that the company recently retired from racing. Top Gear’s Chris Harris was lucky enough to have a chance to take the car for a spin around Cuidad Del Motor De Aragon in Spain. He also took a look behind the scenes of the car to see the nitty-gritty details, too. 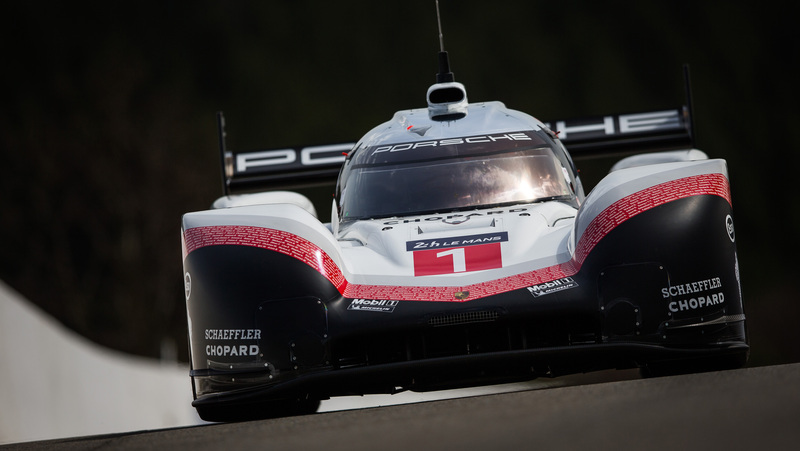 The Porsche 919 Hybrid is an amazing vehicle. It pairs a 2.0-liter V4 engine that makes 500 hp with an electric motor that adds another 400 hp. Add to all that some serious aerodynamic treatment, computer power management systems that help with power assist and torque vectoring, and you’ve got one of the most amazing cars ever built. Before Harris was allowed to drive the 919 on the Spanish racetrack, he had to spend some time in a simulator. The simulator looks like an awesome giant video game. Most car enthusiasts dream video game. However, Harris claims it isn’t a fun place to be. The simulator looks amazingly real, though. After that, Harris goes over the 919 EVO, which Porsche is using to try to beat track lap times around the world. The EVO is a souped-up version of the regular 919 and roughly makes an amazing 1,200 hp in a car that weighs about 1,940 pounds. That’s an insane power-to-weight ratio. The advanced electronics systems make adjustments to the car to compensate for the driver. This allows corners to be taken faster and boost applied when necessary. It’s a lot of fun to watch. Check out the video below.